The difference between Quality Assurance and Quality Control is one of the most frequently asked questions and among the most commonly confused concepts for the PMP exam. Going by the emails and comments I receive, I’m sure many of you are interested in this topic. In this post, we’ll look at the differences with the help of a quiz. First let’s look at the PMBOK® Guide, 5th Edition definitions of Quality Assurance (QA) and Quality Control (QC). Note that the formal names of these processes in the PMBOK Guide are Perform Quality Assurance and Control Quality. Accordingly to the PMBOK® Guide, 5th Edition, Perform Quality Assurance is the process of auditing the quality requirements and the results from quality control measurements to ensure appropriate quality standards and operational definitions are used. Control Quality is the process of monitoring and recording results of executing the quality activities to assess performance and recommend necessary changes. Let’s look at the simplified definitions next. Quality Assurance checks whether quality standards are being followed, whereas Quality Control checks whether quality standards are being met. Audits and root cause analysis are examples of QA. Peer reviews and testing are examples of QC. In QA think about “process”, and in QC think about “deliverables”. I’ve got a simple quiz for you. All you need to do is to match a given term with the process it’s most closely associated with. HINT: Some terms are associated to both Quality Assurance and Quality Control. Thanks for the overwhelming response to the Quiz and the awesome suggestions for blog topics. As of 7/14/2017, this quiz has received 1060 responses. I really appreciate the response. Let’s review the answers to the questions. Feel free to question the answers! Quality Control is about reviewing the deliverables to ensure that quality standards are being met. Quality Assurance is about the process used for creating the deliverables. Peer reviews are usually performed as part of quality control. They are very common in software development projects. Fishbone Diagrams can be used in Quality Control to identify the factors contributing to potential quality problems or effects. Fishbone diagrams can also be used in Quality Assurance to identify the root cause of problems. This is one question that stumped most people. Audits are done to ensure that the quality standards established in the project plan are followed. Quality Control Measurements are an output of Quality Control, and an input to Quality Assurance. Quality Assurance is usually performed by the Quality Assurance department or a group external to the project team. Quality Control can be performed by a Quality Control department (which can be external too), or can be done by the project team. 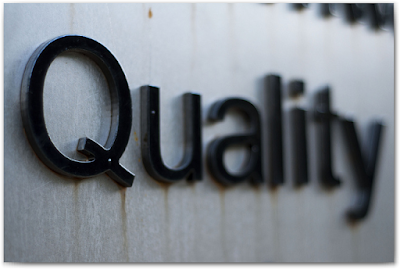 Quality Assurance ensures that quality standards are being followed. Quality Control checks whether standards are being met. Right First Time or Zero Defects is Step 7 of Phil Crosby’s 14 Step Quality Improvement Process. Quality Improvement is usually associated to Quality Assurance. Quality Assurance tries to prevent problems, and hence considered proactive. Quality Control finds the problems after the problems have occurred, and hence reactive. CMMI is a process improvement model and associated to Process Analysis, which is a technique used in Quality Assurance. Quality Assurance helps to prevent defects. Root Cause Analysis is a part of Process Analysis, which is a technique used in Quality Assurance. This is a question that most people got wrong. Quality Metrics are an input to both Quality Assurance and Quality Control. This question is straight from the PMBOK Guide, but received only 50% correct responses. So, please do NOT ignore the PMBOK Guide. Quality Assurance is a part of Executing Process Group, whereas Quality Control is a Monitoring and Controlling process. Quality Checklists are an output of Plan Quality and an input to Quality Control. Cost-Benefit Analysis is a technique used in Plan Quality, but can also be used in Quality Assurance. Note that all Plan Quality and Quality Control tools and techniques can be used in Quality Assurance also. Please let me know your comments and suggestions. I welcome all feedback. Harry... thanks for the answers and explanation. Now it's your turn to develop some quizzes for me that I can post on the blog. Many quiz participants expressed interest in Procurement Management. So, why don't you develop a quiz on the contract types? Looking forward to your contribution. Talk to you in office tomorrow. Sure... let me take a chance..
Did you get a chance to write an article on difference between Quality Control and Quality Assurance ? I couldn't find any in your notes section. I don't think I have a separate post on this topic. I thought that the answers to the quiz question would be sufficient to cover this topic. Let me know if you have any specific doubts. The quiz in addition to your explanation to my query in the other post was good enough. Thanks for the help. Btw, just thought I should say this - you are doing a great job for the PM Community and great role model to look forward to :-). Little late on this post. Have a question: if CMMI is quality assurance, how is peer review quality control?? Peer review is a KPA in CMMI? I'm not sure I understood your point clearly. Peer review is a quality control tool, and all quality control tools can also be used in quality assurance. Is there any article explaining Cost of Quality in your blog? I don’t think so. Usually I write on topics that are somewhat obscure and not well explained in books. If you mention your queries on COQ, I can try to clarify them. You can also post them on PM Hangout if you want more space and convenience.